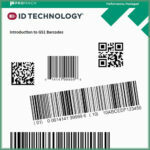 A big part of our business is keeping our client’s barcode label printers working at their best. We know full well that for a lot of our customers, labels are one of the last things they think about – they have plenty of other things in their day to day duties that require more of their attention. Of course, things change rapidly when a label printer stops working! It might be that a production line is now stopped, diagnostic tests in a hospital can’t be completed, or a busy shipping department comes to a standstill. We understand the importance of keeping labeling operations working correctly. That’s why our on-site service coverage is designed not only to fix problems swiftly if they occur, but to prevent them from happening in the first place. All Winco ID service plans cover repairs, parts and labor (some include printhead coverage too) and also include two PM visits per year. The Preventative Maintenance is the key to making sure that the printing operations carry on smoothly during the lifetime of the service plan. Our technician inspects every printer, gives it a really good cleaning and replaces any parts that are showing sign of wear. The result is that the printers are always ready to produce good quality printed labels every time. Helping make our customer’s jobs easier, ensure there are no budgetary surprises and knowing that every time a file is sent to the printer a high quality label is produced, is what Winco ID service is all about. Our on-site service plans are our most popular service offering, but we can help in other ways as well. Some customers prefer to purchase a spare printer or two so they can send a machine needing repair to Winco ID, if needed. For clients needing on-site repairs, but not wanting to invest in a 12 months plan – we can help with that as well. Also for very high volume printers, we can increase the number of PM visits, or arrange to do more at peak times of year if the client has busy periods. So you see, there are plenty of ways we can help – which would work best for you? Want to learn more? Contact your Winco ID rep or call me at 603-598-1553 x237.